Birthstones make beautiful adornments and are said to enhance certain features of your personality as well. Have you ever been drawn to a certain stone and you didn’t know why it was attractive to you? Have you admired a birthstone that was not your own and wished that you were born in a different month? 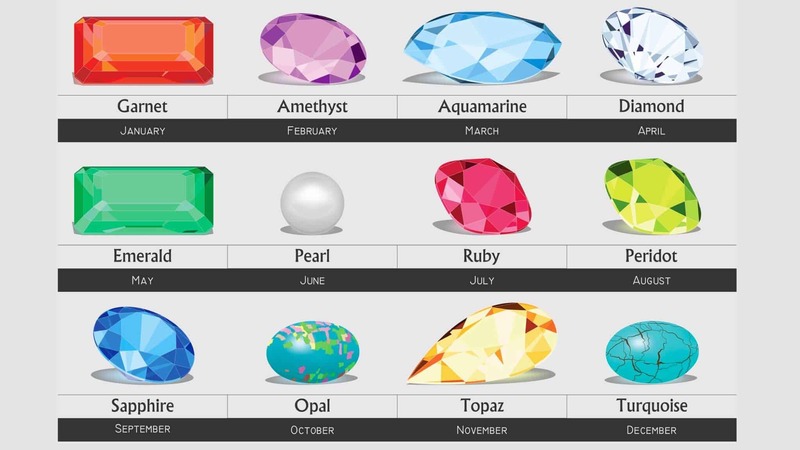 You can always choose to wear a birthstone that is not the stone associated with your birth month or astrological sign. Birthstones have personality traits associated with them, just like your astrological sign. In this article we will explore the fascinating personality traits that are connected to the birthstones for each month. The origin of our modern use of birthstones may be as ancient as biblical times. It is said that the Breastplate of Aaron was encrusted with twelve different stones, which represent the twelve tribes of Israel. Aaron was a High Priest of Israel and Moses’ brother. Our modern birthstones have changed since biblical times. In 1912 the National Association of Jewelers came up with the list of modern day gemstones as we know them today. Related article: Which Gemstones Are Best for Your Zodiac Sign? Like the blue color of aquamarine, the stone is associated with the personality traits of a calm mind that is at peace. This birthstone is also considered to be lucky, bringing health and happiness to the wearer. Diamond, being the hardest stone, is also one of the most valuable. People who have a diamond birthstone are said to be as strong as the gemstone itself. 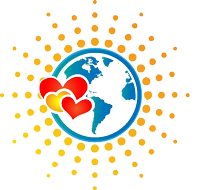 Often, this strength shines through due to the overcoming of an adversity in childhood. Diamonds are said to increase courage, give victory and provide good luck. As a symbol of love of a husband for a wife, diamonds symbolize commitment, happiness and forgiveness. Diamonds also signify light, purity, success, and spiritual enlightenment for the wearer. The deep green of the emerald is said to protect the wearer from evil. People who are attracted to emeralds are said to have a good memory, are excellent public speakers and are ambitious. Emeralds are also said to give the wearer the gifts of true love, passion, intelligence, honesty, and wealth. Pearls are believed to provide protection, health, and long life to the wearer. They represent the personality traits of patience, loyalty and thoughtfulness. Rubies are associated with the personality traits of courage, insightfulness, and clarity of thought. People who wear rubies are action-oriented and are focused on achieving goals. Bright green peridot is said to be a stone of hope and happiness. Peridot is an antidote to negativity and it is said to restore happiness after an unhappy event. People who wear peridot are energetic, outgoing, enthusiastic people who are not afraid of risks. The star sapphire birthstone is connected to the personality traits of wisdom and honesty. Although not a personality trait, the sapphire is said to enhance the beauty of the wearer as well. As the birthstone of Libra, the opal has not always been a symbol of good fortune. Opals have been associated in medieval times with casting of evil spells, poison, bad luck, and even death. Opal wearers know that the dancing colors, which look like the aurora borealis, have nothing to do with bad luck. Opals are connected with the personality traits of enthusiasm, spontaneity and intelligence. The topaz is a stone of creativity, peace of mind, energy, and joy. Compassion, hopefulness, mental strength, and thoughtfulness are also traits connected with topaz. Turquoise is a stone of peace, which is likely to be the feeling that you get when you look at the blue color of this birthstone. Other personality traits associated with turquoise are health, positivity, humility, grace, and being generous. Those with garnet for a birthstone have an ambitious personality that can suffer from over-thinking. Garnet wearers are smart, outgoing, courageous, and generous. Amethyst is associated with purity, positive thoughts, protection, victory, hunting prowess, intelligence and smart business sense. The stone is said to prevent someone from becoming drunk. This strange power is associated with the namesake of the stone, Amethyst, who was a maiden who was attacked by the god Bacchus. She prayed to Diana to protect her and was turned into a pure white stone. Bacchus regretted attacking her and poured some of his wine over her as a libation, causing the stone to turn a purple color.